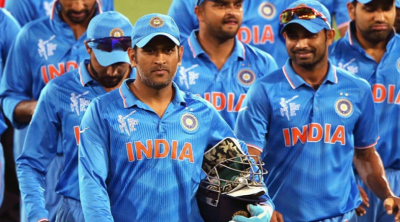 Mumbai: The Indian cricket team for the first time will be playing international matches in the United Stated of America (USA) when it will take on reigning World T20 Champions West Indies in a two-match T20 International series in Florida. The two matches will be held back-to-back on 27th and 28th August in Florida’s Fort Lauderdale where Caribbean Premier League (CPL) matches have been held. The venue is Central Broward Regional Park. Keeping in mind the Indian TV audience, the matches will start at IST 7:30 pm. This is BCCI’s initiative to get into the untapped market in the United States where there is a big Indian diaspora. With Dhonis and Kohlis on one side and the Chris Gayle and Dwayne Bravos at the opposite end, the fans in the US can expect an exciting contest. BCCI President Anurag Thakur said,”As part of our continuous efforts to reach out to new markets and audiences, I am very happy to announce that Team India will play two T20Is against the current world champions West Indies in the United States.